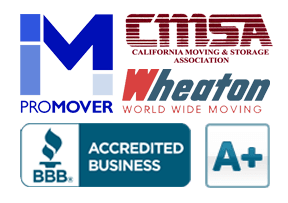 Choosing a Contractor – Pt 2 | Cummings Moving Co.
You will soon be an expert in how choose contractor or interior designer! Well, at least you will have a much better idea. Moving into a new home is exciting and renovating your existing home into a dream home is an adventure. Both are made easier when you have the right professionals on your team. But how to find the RIGHT ones? 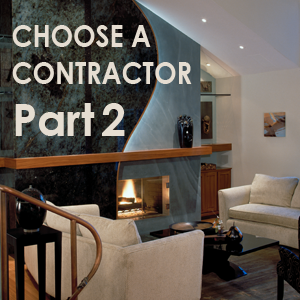 While we all wish we could blink an eye and land a great contractor or interior designer in our lap, we trust part two of this two part series will come in a close second to that! Start with a clear plan of the work you want done. Ask your friends and colleagues for referrals. Check the reputation & background of your contractor or interior designer. Use online review sites with a critical eye. Make sure to get bids from several companies or individuals. Now that you have bids from several different companies or individuals, what to do from there? If you are good at analyzing details, then dig in and use the final five tips as a roadmap. If details and analysis are not your strong suit then it’s time to phone a friend! Get some help for a friend or relative you trust, someone who has your back and loves to evaluate and compare things! Compare apples to apples. Look carefully at bids from different contractors to see if you are really comparing apples to apples. There may be a good reason why one is much higher or lower than the others. Read the fine print before you accept or trash any bid. Ask TONS of questions! Always be sure to understand the specifics of the bids you receive. Dig into the quality, type, durability, and hidden costs or required maintenance for the materials and fixtures they plan to use. Ask pointed questions about their suppliers and subcontractors. What’s their track record, are they reputable and able to deliver on time? A good contractor is more likely to respect your questions. On the off chance that a good contractor becomes impatient with you, chances are they are too temperamental to work with over the length of a job! Be grateful that you saw the sneak preview and avoid that movie! Remember that you usually get what you pay for. Please resist the urge to make a decision solely on money. Contractors and interior designers of a certain caliber are likely to cost a bit more because of their experience, and the quality and reliability of the sub contractors and vendors with whom they work. Be suspicious of the lowest bids and remember that you may get shoddy workmanship, socked with hefty overages or see so many corners cut that you start running in circles! 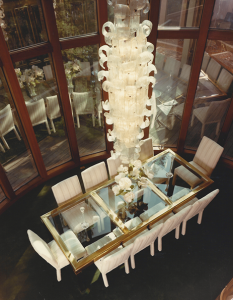 Look for solid communication skills in the contractor or interior designer you hire. Communication is essential on any project. It is necessary that you feel very comfortable with this person and trust them to work through any issues that may arise. You may want to ask them how they handled a client disagreement in the past. Be willing to keep looking if it’s not a great fit! However, if you have done the required legwork, and we mean REALLY done the legwork, then trust your gut if it comes down to a choice between two great options. Treat this like a part-time job with a deferred paycheck. Sometimes looking at the important task of finding a contractor or interior designer in this light is helpful. You may find it helps get you through the work involved in the process. Because you WILL be paid down the road, when you sell your home or by the pleasure you enjoy once the job is done, you may want to calculate the financial and/or emotional upside to this project on the front end! Sometimes having the gain in mind makes things a whole lot easier! Keep the faith! There are fantastic, highly skilled, experienced contractors and interior designers out there to be found! Maintain a positive outlook and keep thinking that you WILL find them. And remember, they are looking for wonderful clients at the same time that you are looking for them!